I found a book called Animal House by Catherine Ledner at a thrift store the other day. It is a series of animal portraits. 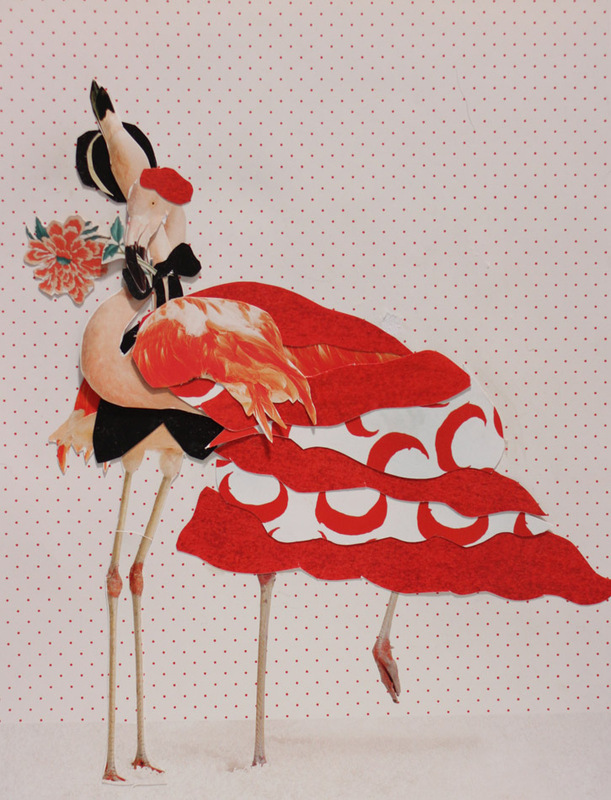 There were a few different shots of a flamingo … I combined two of them to make Flamingo Dancers. Brilliant! and so beautifully done–I just love the leanness of it, the fineness of detail against the flamboyance of the dance.